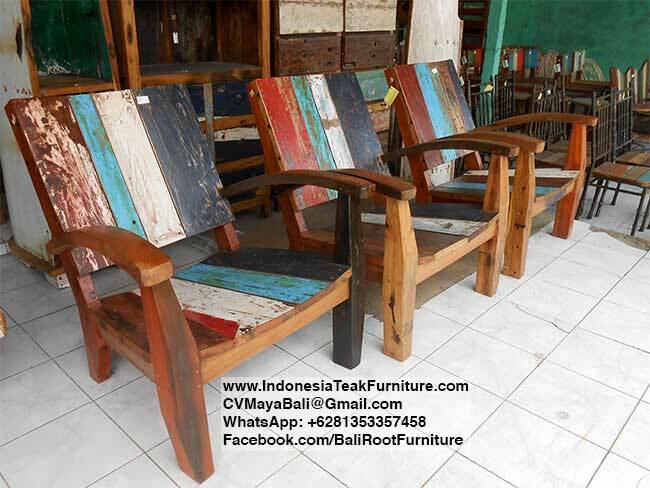 Bali Wood Furniture made of Reclaimed Wood from Old Fishing Boats in Bali Indonesia. Reclaimed boat wood furniture from Bali Indonesia. 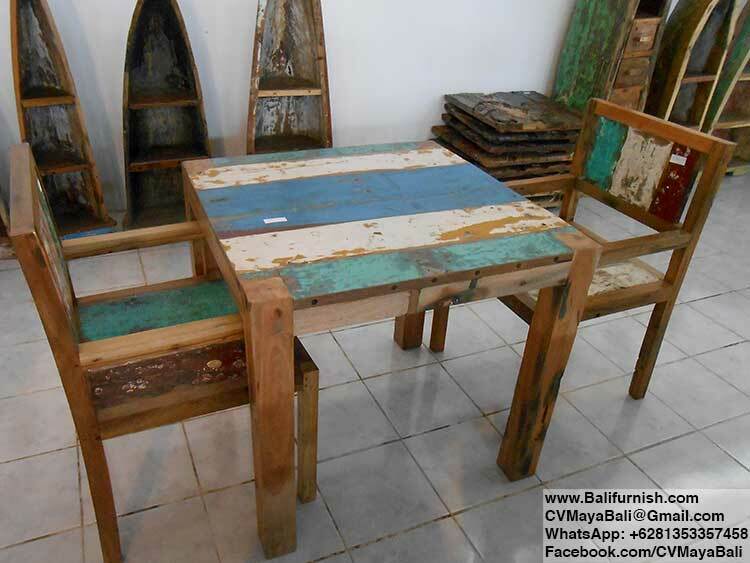 Indonesian furniture made of reclaimed wood from old boat wood. These recycled wood furniture is unique. Variation in color will occur. Handmade in Bali Indonesia. Available in various colors. Indonesia Handicraft Products Wholesale Company. See also wooden alphabet made of reclaimed boat wood from Indonesia. Dining table and chairs made of reclaimed boat wood. Dining table and chair sets. 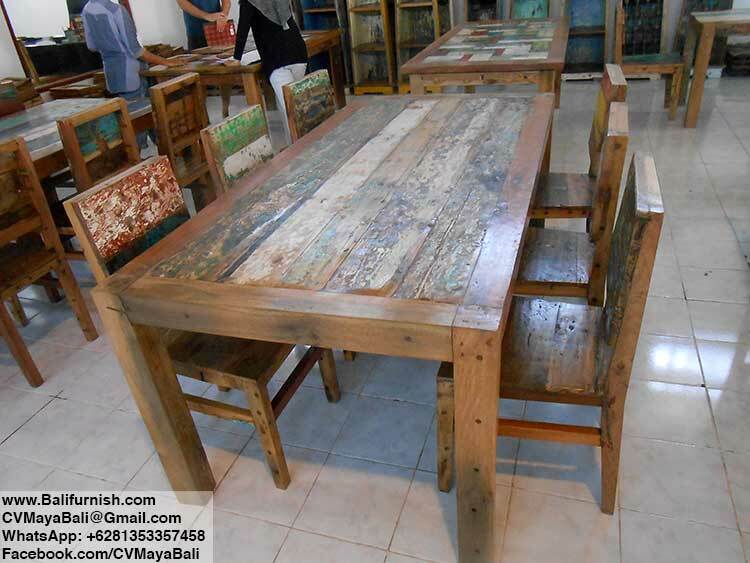 Dining Furniture from Indonesia. Dining Chair made of reclaimed boat wood. Dining table and chair sets. Dining Furniture from Indonesia. Suitable to use at cafes, restaurants, shops and many more. Contact us if you need more boat wood furniture to furnish your home or garden. Made in Indonesia. 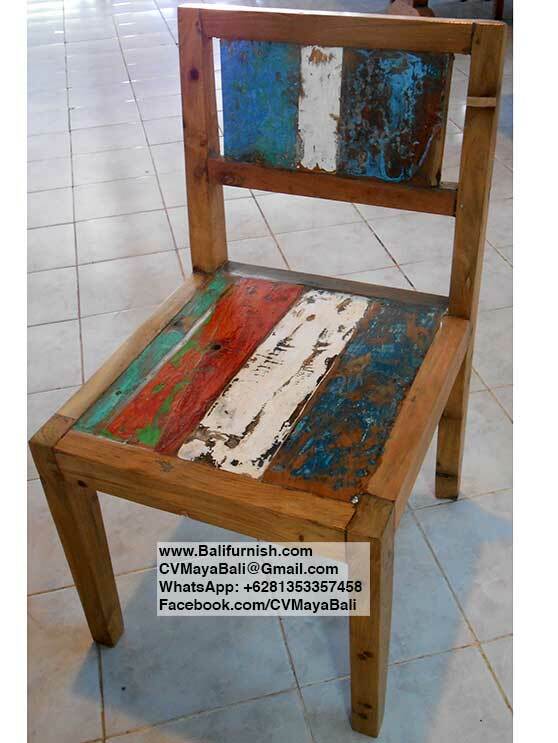 Dining Chair made of reclaimed boat wood. 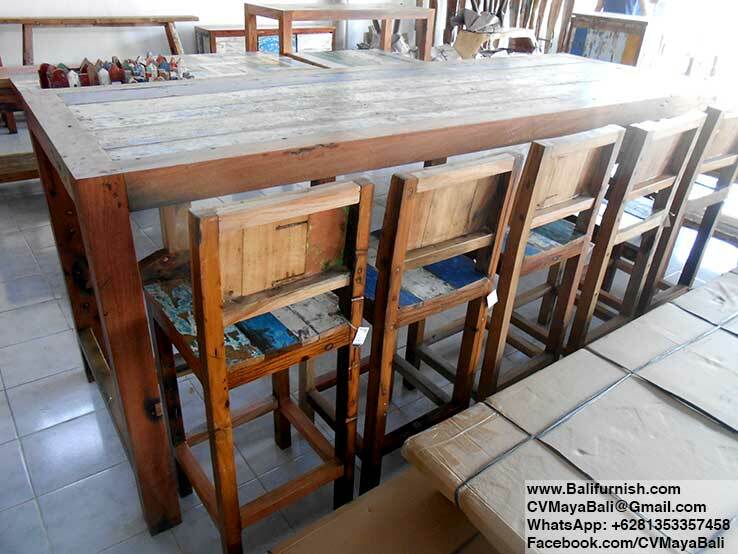 Dining Furniture from Indonesia. Since we use wood from reclaimed timber, each piece is unique. We can't replicate each of our boat wood furniture exactly the same as photos shown on this web page. Boat wood bar stools and table. Chairs and table furniture set. Boat wood furniture from Indonesia. 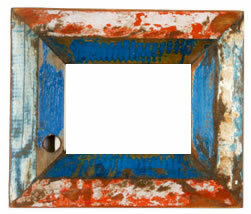 Recycled boat picture frames Bali. These photo frames is unique. Variation will occur in color. Size 27x22cm. Recycled boat picture frames Bali. Handmade Crafts from Bali. Indonesia. Crochet Dream Catcher Bali. Indonesia. Airbrush Surfboards Factory Bali. Indonesia. Indian Headdresses Factory Bali. Indonesia. Balinese Boxes. Aluminium Boxes from Bali. Wooden Handicrafts. Handmade in Bali. Indonesia. Bali. lamp shades coconut tree leaf Bali. Indonesia. Our Handicrafts are handmade in Bali. Indonesia by traditional Balinese craftsmen who been producing many kind of Bali. crafts and other Bali. homeware for many years. These arts and crafts are available in various colors not only color shown here. Other than various colors, we also make these handicrafts in various sizes.